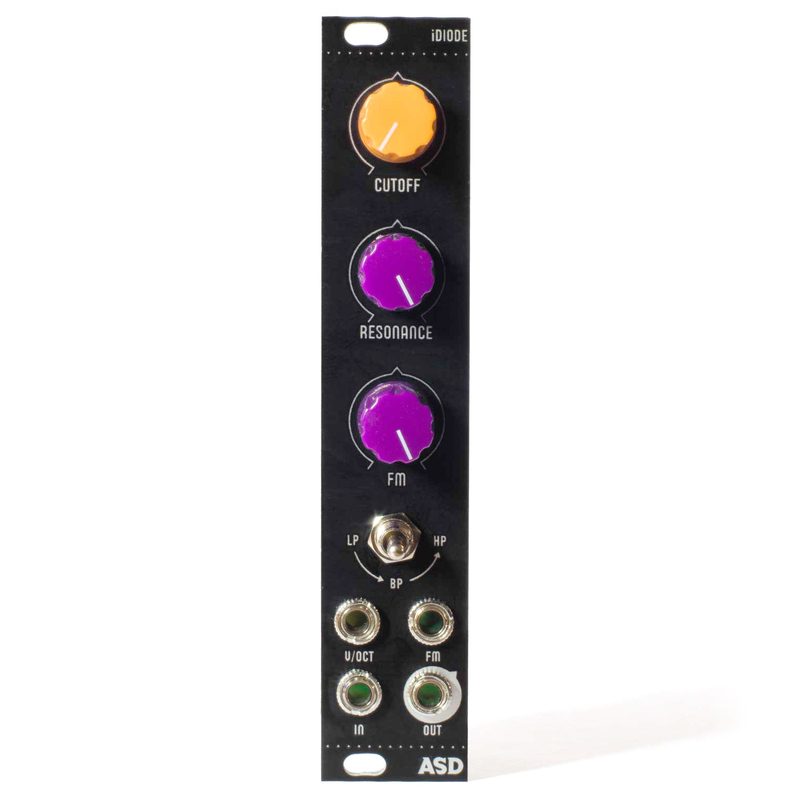 More opportunities for live modular system patching! 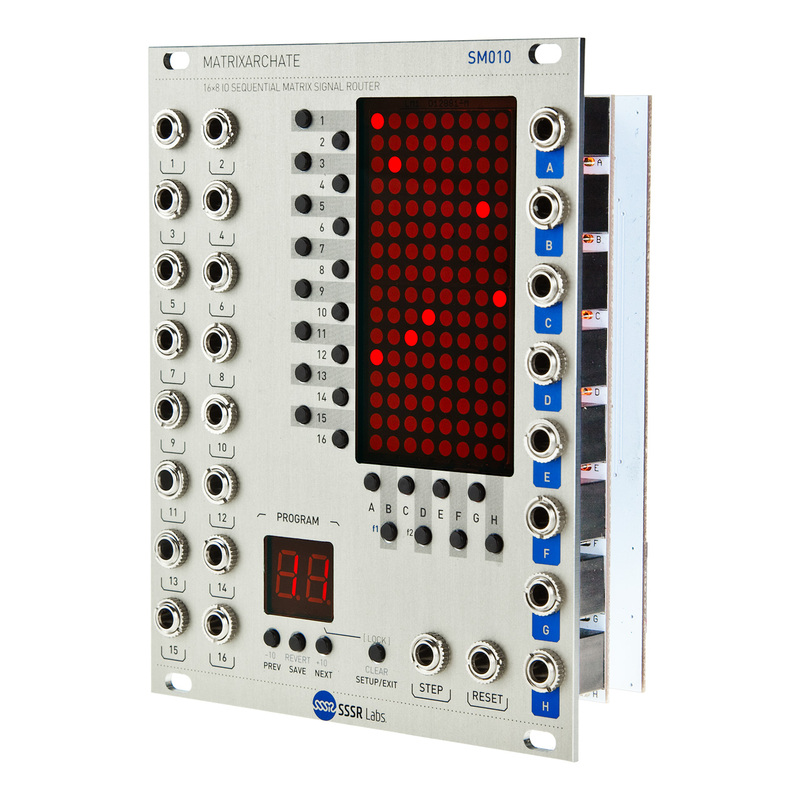 SSSR Labs Matrixarchate gives a tribute to the cult synthesizer series, the EMS Synthi, which had a very distinctive and original patching system, Modulation Matrix. 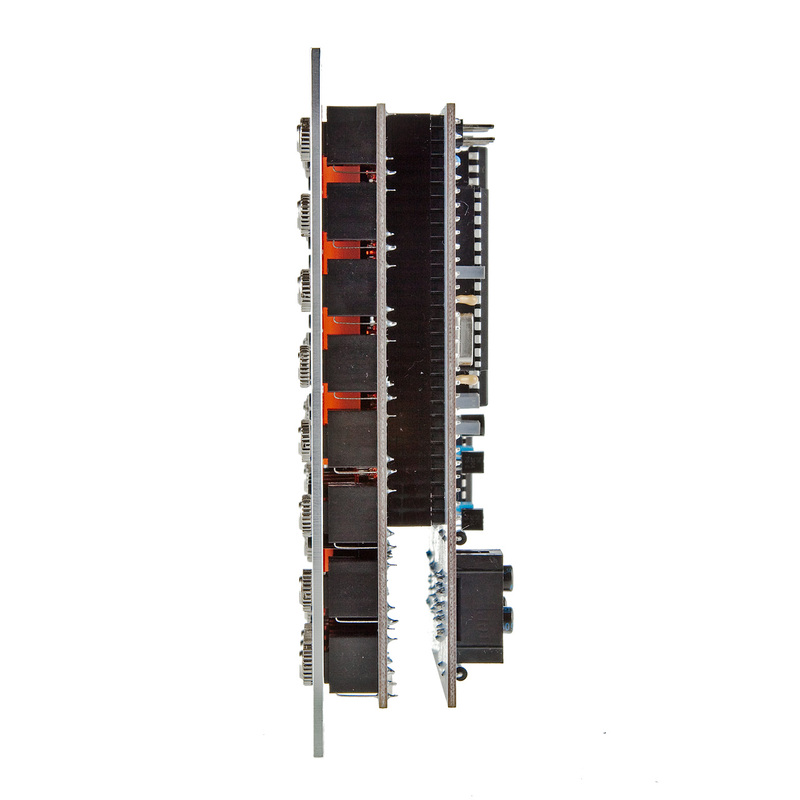 The MATRIXARCHATE allows to interconnect any set of modules in a very similar way and automates repatching of frequently used module chains. This matrix has onboard 16 bi-directional “Row” IOs enumerated with digits, and 8 bi-directional “Columns” IOs enumerated with letters. 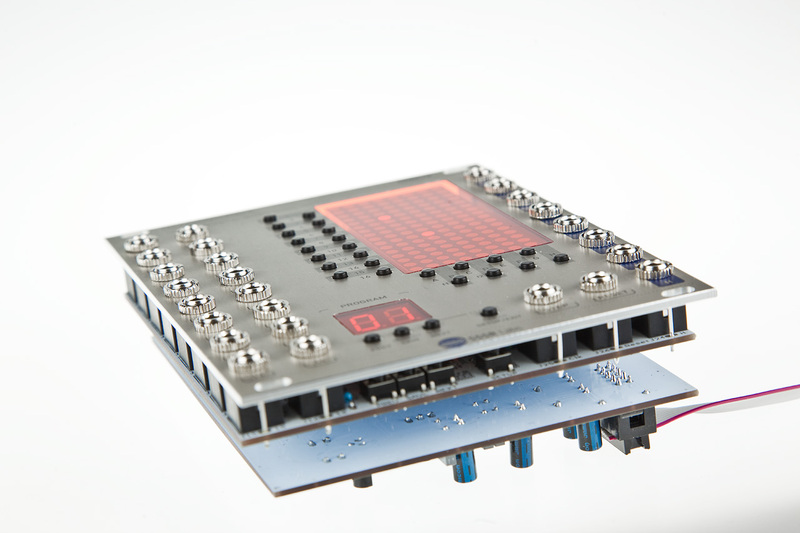 So that, the module has no traditional inputs or outputs, which gives you the absolute freedom of how to use it. 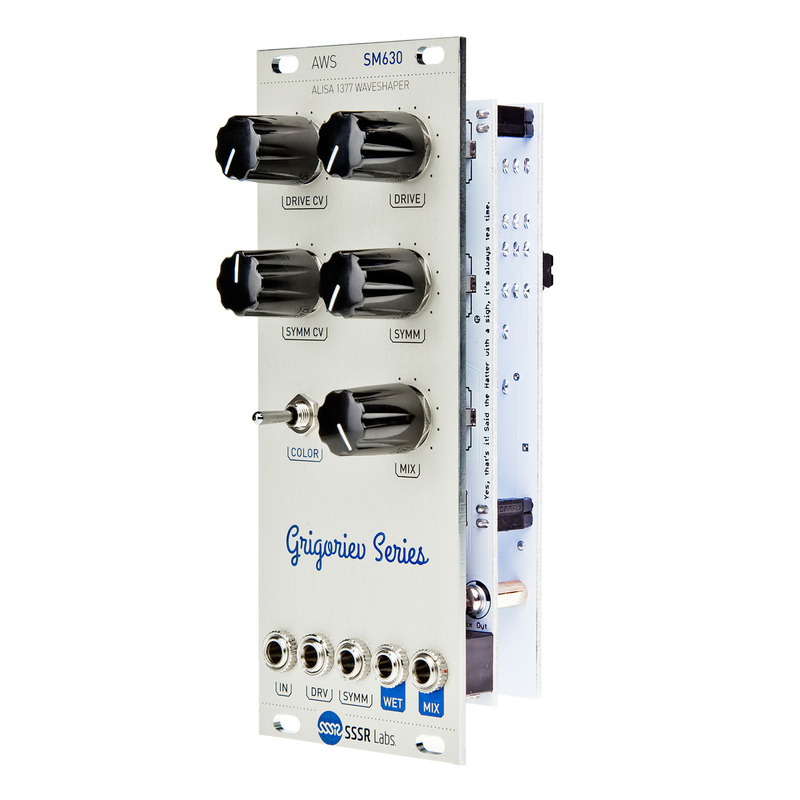 The module can store up to 60 user patches and also that patches can be sequenced by an external trigger, which practically makes it the base module for very complex sequencing system. The particular patches to be used in a sequence can be picked in Setup mode, along with preferred direction: Forward, Back, Pendulum or Random. It needs to be mentioned that MATRIXARCHATE is built around the special analog switch IC, controlled by a microprocessor, so no signal digital processing is taking place. Also, for better visual performance, we did not use any kind of LCD, just good old LEDs! 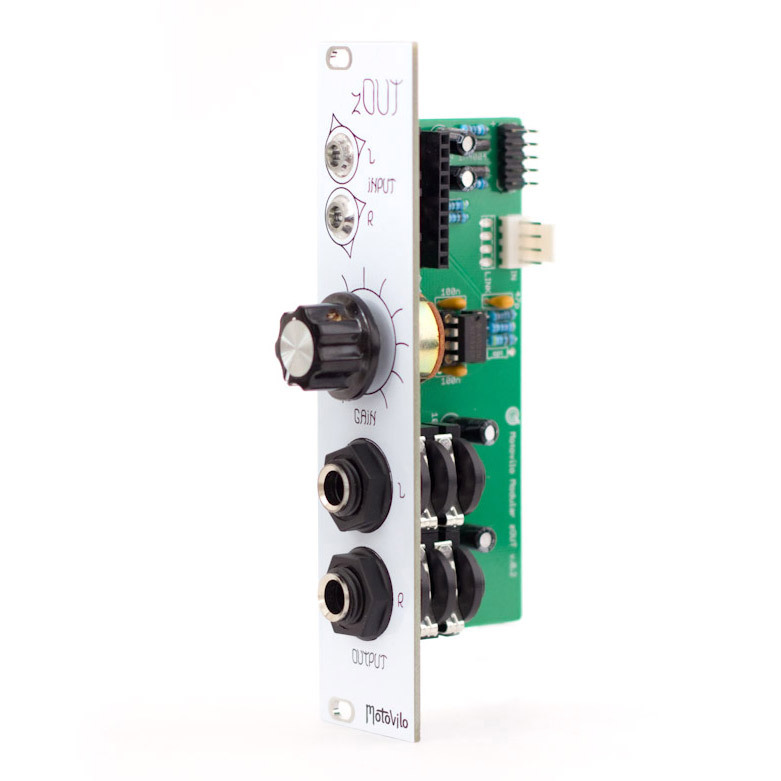 The module’s ergonomics is carefully designed to perfectly fit it within compact Eurorack module. You can instantly change patches, quickly clear the matrix, revert the last stored patch, temporary change a patch, switch to another and return back to that modified patch, copy and paste patches, display patches in several different ways, adjust brightness. The module is easily updatable via ISP interface, also it has I²C for remote control. All units shipped since April 2018 are equipped with audio bootloader, so the update process is as simple as playing back an audio file. 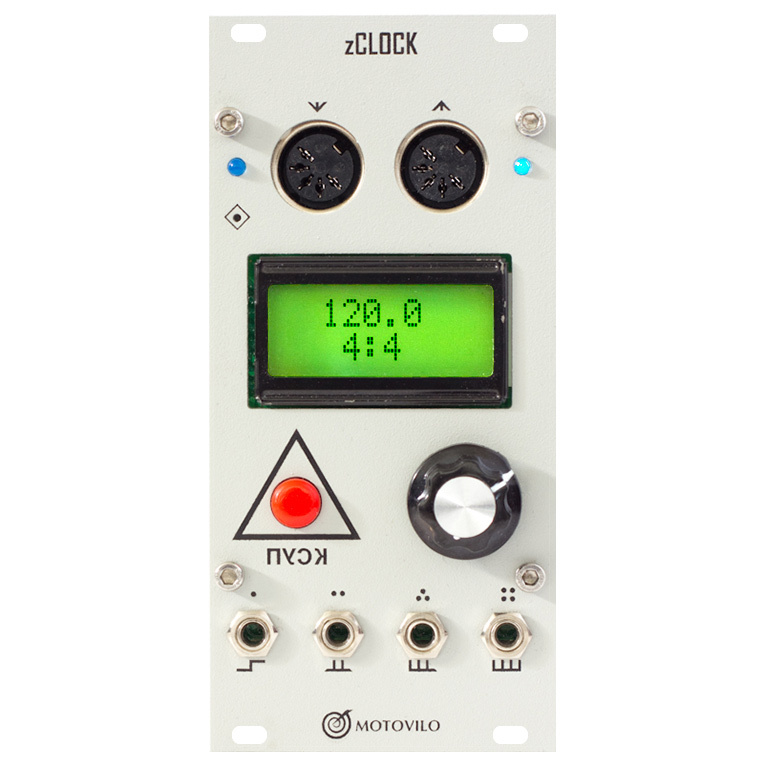 MATRIXARCHATE is compatible with Monome Teletype control module (version 2.3β1 and later). The module’s firmware must be upgraded to version 1.2 or later. Maximum voltage swing range on all IO: -6…+10V. 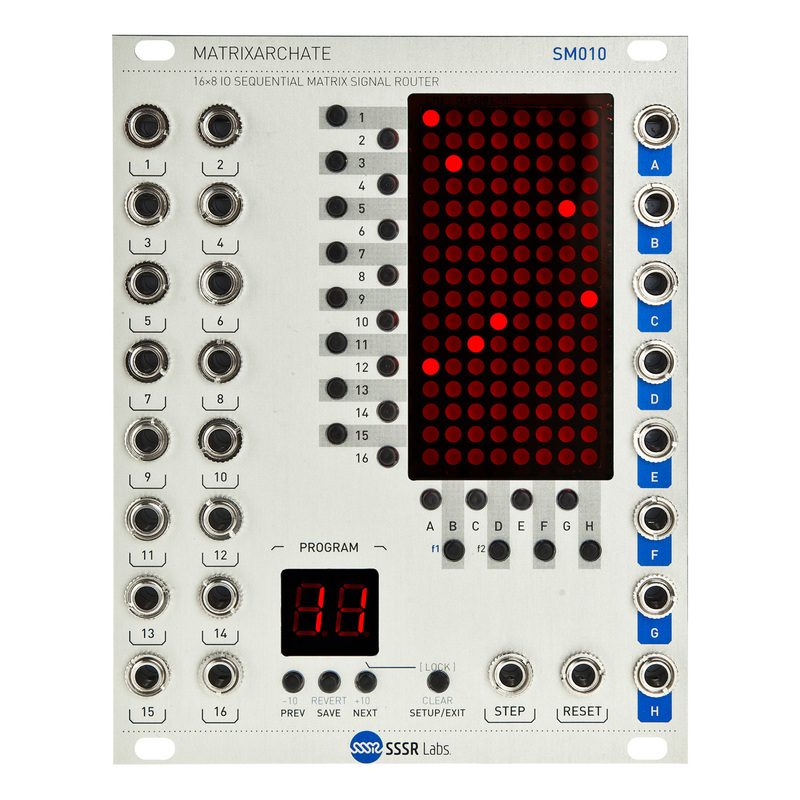 As well as the Synthi’s matrix, Matrixarchate does not perform input summing operation! So, signal distribution one-to-many is possible, but signal combining many-to-one will result passive averaging of modulation sources.